WOLF BUTTERBACK KG, Kenyér, sütemény, pékáru, Kenyér és sütemény, Bécsi különlegességek, az EUROPAGES oldalakon. Wolf ButterBack has manufactured premium-quality frozen baked products for over 20 years. 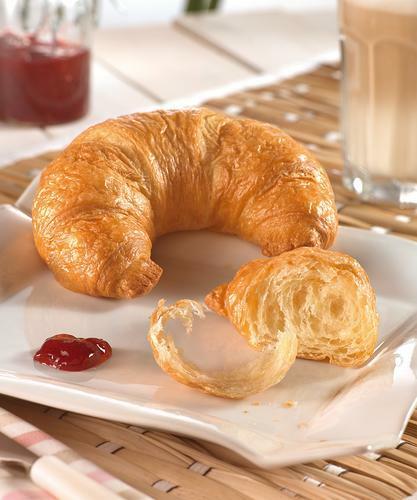 Our main area of expertise is croissants, filled Danish pastries and savoury snacks with best-quality butter. 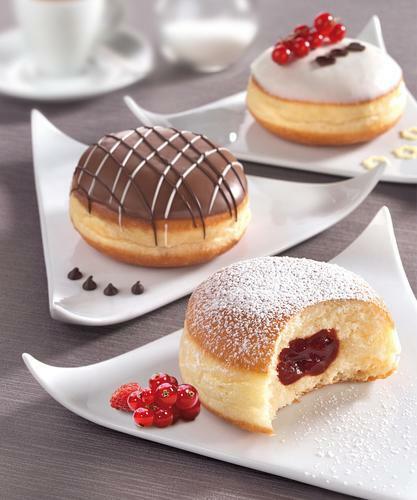 With more than 500 employees, we manufacture our baked goods exclusively at a single production and administration location in Fürth, Germany to a high level of craftsmanship. Our large workforce with many specialist bakers combined with our cutting-edge manufacturing technology ensure a consistent, high level of quality. Our company places great emphasis on using excellent raw materials. For instance, we only use best-quality butter for our laminated dough, and our sweet and salted fillings are mainly manufactured according to our own tried-and-tested recipes. The dough proves for up to eight hours so that the flavours can develop and the pastry remains fresh for a long time once baked. Our company has achieved a "Higher Level" IFS certification for many years.